We took a holiday classic and gave it the Frappuccino® treatment. Rich creamy eggnog, coffee and ice blended together, and topped with whipped cream and ground nutmeg. 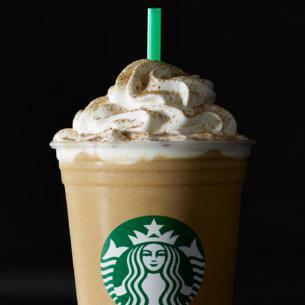 Ice, Milk, Coffee Frappuccino Syrup [Sugar, Water, Salt, Natural And Artificial Flavors, Xanthan Gum, Potassium Sorbate, Citric Acid], Eggnog [Varies By Region - Information Available At Your Local Store], Whipped Cream [Cream (Cream, Milk, Mono And Diglycerides, Carrageenan), Vanilla Syrup (Sugar, Water, Natural Flavors, Potassium Sorbate, Citric Acid)], Coffee, Nutmeg.